Imagine learning from a nosy classmate that your mother is having yet another baby. To Ralph's classmates, news of one more Fletcher baby is just "scuttlebutt." But for Ralph, the oldest of nine, being part of a large family means more kids to join in the fun—from making tripods in the woods and "snicking" up the rug to raising chicks and even discovering a meteor (well, maybe). It doesn't feel like there's life beyond Marshfield, Massachusetts. Then one day Dad's new job moves the family to Chicago, and there's so much Ralph has to leave behind. 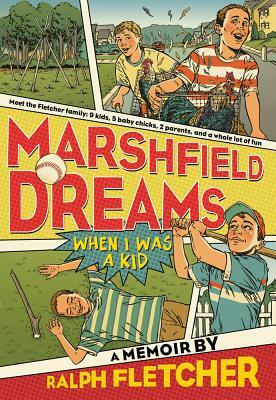 In this humorous and captivating memoir, Ralph Fletcher traces the roots of his storytelling. Ralph Fletcher is the author of a wide range of books for young readers from picture books through novels. He also teaches workshops on poetry and writing. Mr. Fletcher lives with his family in Lee, New Hampshire.